As the saying goes, it took Nokia years to build trust. It took HMD Global mere weeks/months to peepee on all that. Off topic, what browser are you using? Now i do below thing in twitter always. I use Firefox with ublock Origin add-on. Question on every bodies lips, is whether or not the release will contain any fixes. Or just the security patch. I hope it's the former but my gut says it's the latter. Does update come with gaming mode, camera software improve and face unlock ? 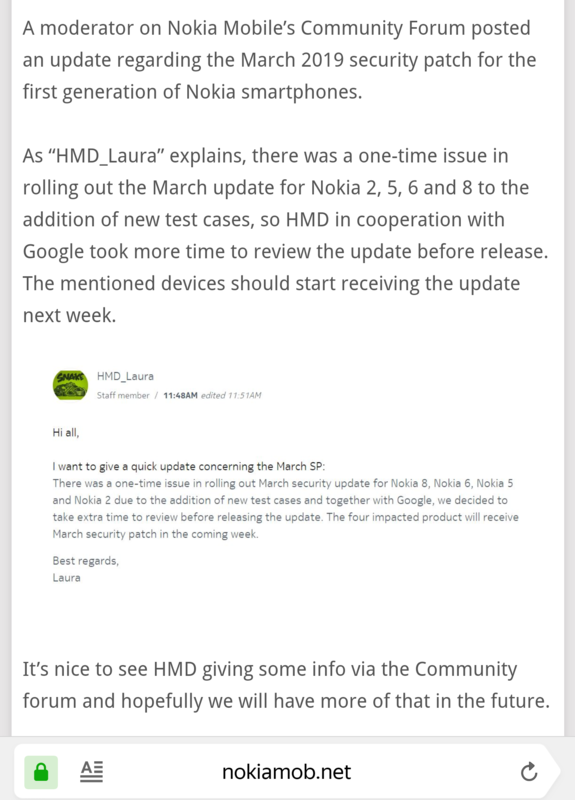 Face Unlock won't happen unless HMD somehow find a way to allow the phone to sprout the necessary hardware for it to work via a software update!!!!! More importantly will OK Google get fixed? My biggest issue is the restarting would it be fixed ? Do Hard Reset. Or change SD Card. This isn't a problem of Android 9. It's your hardware or software problem. Do factory reset and if the problem persists, then it's hardware problem. I do not believe it will be this week. some do not even have February fixes. It will end up as usual on talking.